I am offering Divorce Angels users a 1 Hour Know Your Numbers Complimentary Cashflow Analysis valued at $500. This session will help you to understand your current numbers, including networth, income, current expenses and taxes. This information will be useful to help you prepare separation documents. 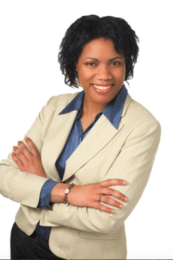 Jackie Porter has been in the financial industry for 18 years serving over 400 families, established businesses and professionals in the Greater Toronto Area. Her practice focuses on investment planning; cash flow; management and tax planning. In her role as a certified financial planner, she helps busy professionals make informed decisions by helping them to see their financial circumstances clearly. This is accomplished by working with her clients “team of advisors” to create a “360” degree snapshot of their current and future financial circumstances. In addition, Jackie specializes in helping professionals who are experiencing a life change by receiving a settlement or severance package. Jackie is often called upon to give advice to the media on the subject of RRSP contributions. She also is a featured speaker and advocate for numerous corporate, nonprofit and charitable organizations. Jackie has a passion for promoting financial literacy and has created a number of camps and after school programs for the Toronto District School Board. She has also served on the Board of Directors for Advocis Peel Halton and Advocis Toronto, an organization that regulates financial planners. In May of 2016, Jackie with her co-author Jill O’Donnell penned a book entitled “ Single by Choice or Chance The Smart Women’s Guide to Living Longer Better” published by Insomniac Press. Jackie Porter, is an award winning advisors who has been working sucessfully with clients who have gone through a life change for the past 18 years. She recently penned a book called " Single by Choice or Chance, the smart womens guide to living longer better in July of 2016. This book deals with the lifestyle and financial implications of being single. Working with the divorced market, she has learned that is it is important to be patient. Going through a divorce is one of the most devastating life changes that any person can go through-both personally and financially. Jackie brings empathy, humour, passion and creativity to every circumstance she encounters. She prides herself in listening to her clients, zeroing in on their "big picture" to helpthem create a brighter future. Nothing gives her greater satisfaction that seeing her clients turn the "page" and accomplish the goals they have set for themselves. She will hold you accountable for the goals you have set for yourself, and will be transparent about how she can help you and how she is compensated. As a women who has been financially independent since the age of 18, she is enthusiastic about showing women how they can become and remain financially independent as well.